Direct Taxes Ready Reckoner is a hand book for tax practitioners, taxpayers and as well as commerce students. It is written by Dr. Vinod Kumar Singhania, Ph.D, published by Taxmann Publishing (P) Limited. It was first published in May, 1978. Last available edition is its 36th edition of May 2013. 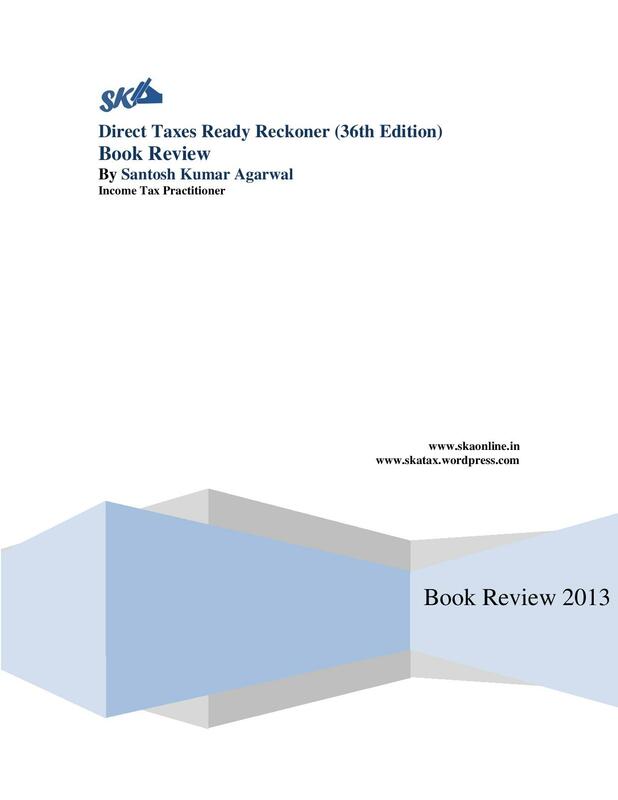 To, download the book review in PDF Format, Review of Ready Recokner – 36th Edition, click here.